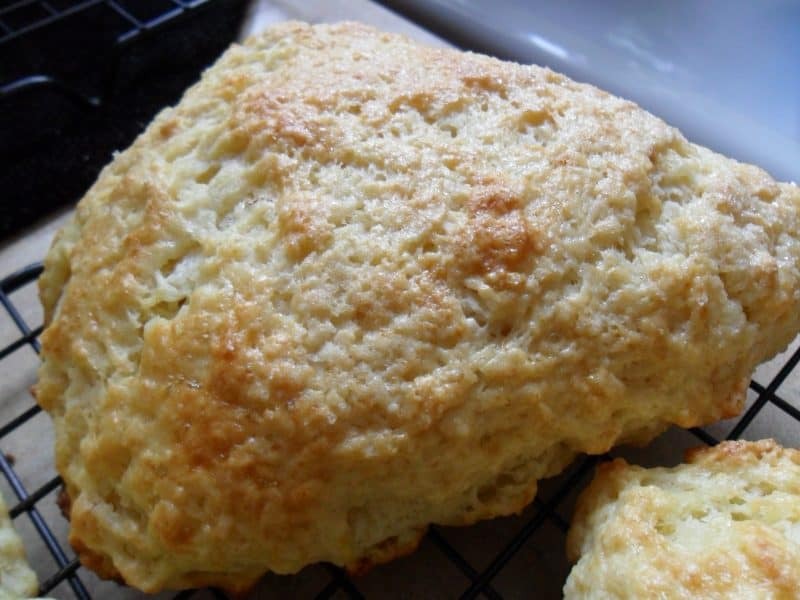 Meyer Lemon Buttermilk Scones are light, lemony and delicious. Made with Meyer lemons, making them even more irresistible. Botanists believe this relatively new lemon-family member is a cross between a lemon and an orange. It’s names after F. N. Meyer who in 1908 imported it into the United States from China where it’s been grown for centuries. Meyer Lemons have a rounder shape and smoother skin than common commercial lemons; their color ranges from deep yellow to yellow-orange. The aromatic juice is sweeter and less acidic than that of regular lemons. Meyer lemons are available from October through May in specialty produce markets and many supermarkets. Choose firm fruit that’s heavy for its size. 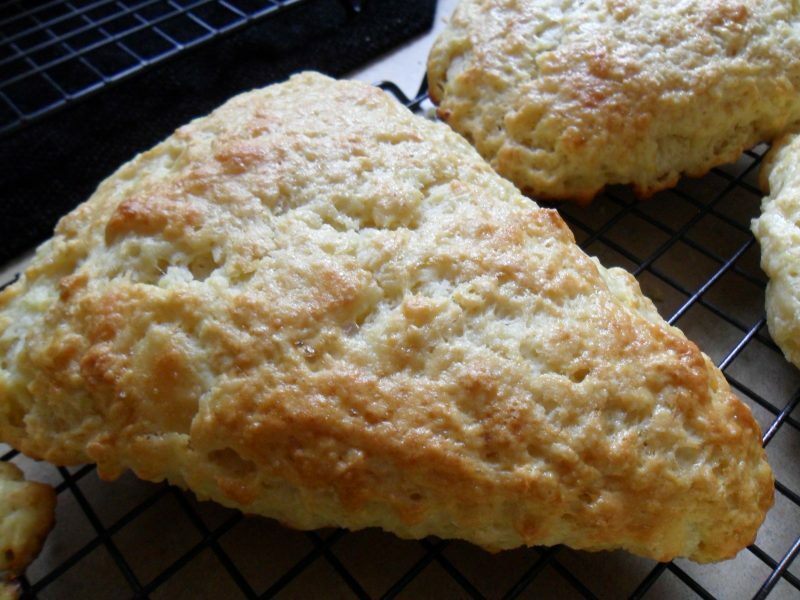 As the name suggests, buttermilk does not have butter in it. Buttermilk of times past was the liquid left after butter was churned. Today it is made commercially by adding special bacteria to nonfat or low-fat milk, giving it a slightly thickened texture and tangy flavor. Buttermilk is also low in fat and remarkably low in calories compared to whole milk. 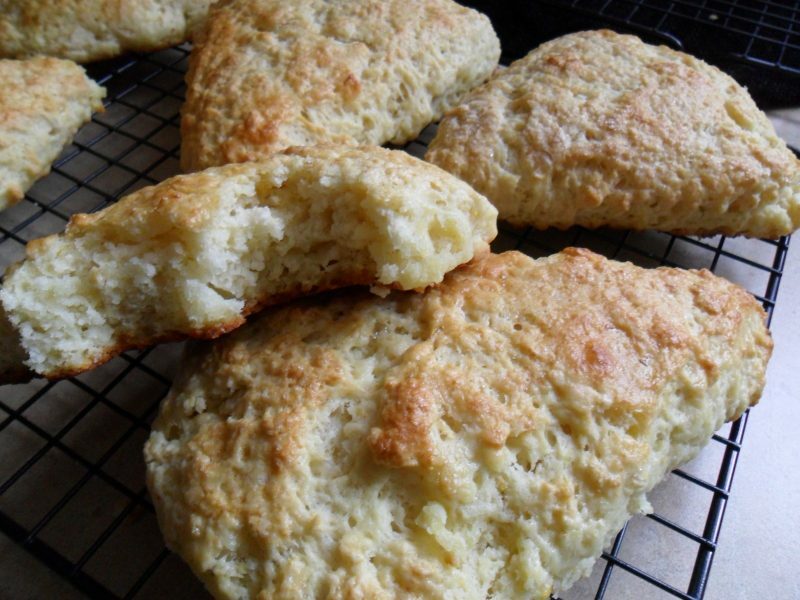 Buttermilk is used to add a slight tangy flavor to baked goods. 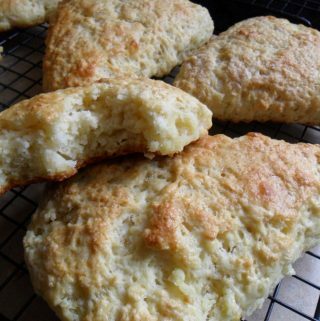 Meyer Lemon Scones are light, and lemony delicious! In large bowl, whisk together flour, sugar, baking powder and salt. Using pastry blender, cut in butter until into coarse crumbs with a few larger pieces. Whisk egg, buttermilk and lemon zest together; pour into flour mixture and stir with fork just until dough comes together. Turn out onto lightly floured surface; pat out into 1-inch thick round. Transfer to parchment paper–lined baking sheet. Brush with buttermilk; sprinkle with sugar. Cut into 8 wedges but do not separate. Bake in 425°F oven until golden and firm to the touch, about 16 minutes.